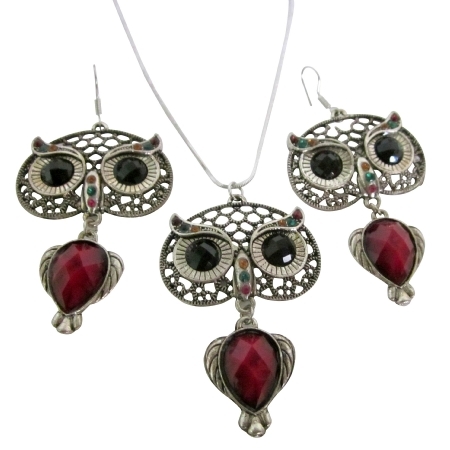 Buy the hottest owl jewelry collection from online jewelry store fashion jewelry for everyone vintage oxidized owl nocturnal bird with glowing eyes at nigh pendant with ruby enamel body. The owl has been used for many centuries in human culture to symbolize intelligence & mystery. The owl was a symbol for the goddess Athena daughter of Zeus & denoted prosperity & fortune. & all over the world across many cultures the owl is seen as a symbol of wisdom for many.